Motorola announced two editions of the third-generation Moto X at an event in late July, but one of them — the Moto X Play — won’t be launching in the U.S. At least not with that name. 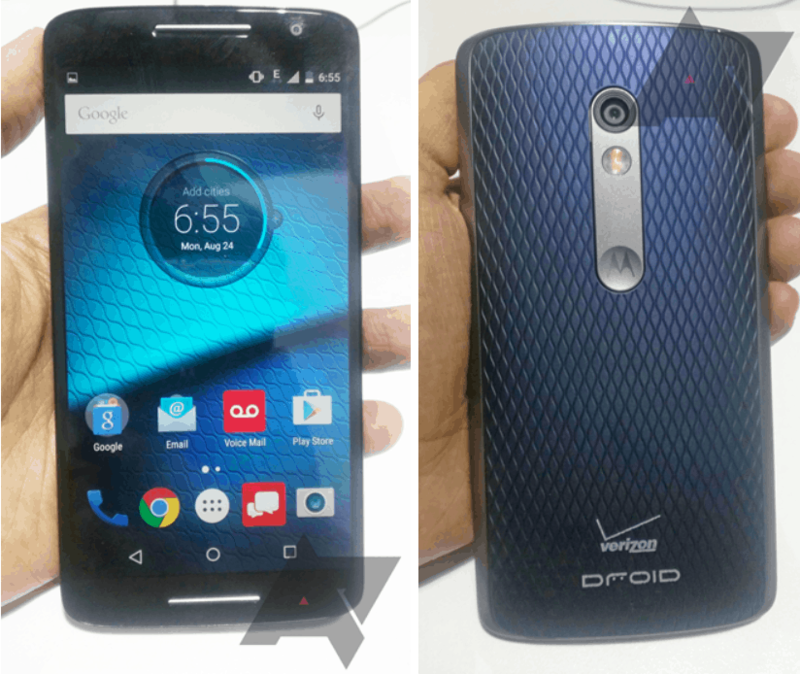 However, new leaked images suggest it will arrive on Verizon as the DROID Maxx 2. Images obtained by Android Police reveal the Motorola “XT1565” ahead of its official debut, and it looks exactly like the Moto X Play. It also has the same set of specifications, which include a 5.5-inch 1080p display, a Snapdragon 615 processor, 2GB of RAM, and a 21-megapixel rear-facing camera. There are two big differences, however, and one of them will be more noticeable than the other. The DROID Maxx 2 has a Verizon logo slapped on its back, but worse than that is its downgrade in internal storage, which appears to be just 8GB, according to benchmarks. It’s thought the DROID Maxx 2 will have a microSD card slot, but 8GB of internal storage is pretty disappointing in what should be a flagship device for Verizon. Of course, this could be an early test unit, so that could well change before the device actually goes on sale. A release date is not known at this point, and neither is a price tag, but we shouldn’t have to wait too long before the DROID Maxx 2 becomes official.